Whether you are starting a blog that offers baking recipes or gadget reviews, you definitely want it to reach more and more readers besides the intended demographic. The content in the blog is certainly crucial in getting it more hits, but to increase its recall value with readers and help it stand out in web searches, it is equally important for the blog to have a distinct name. If you are the creative type, you might have thought of a name for your blog even before the first characters were typed. It would be something unique, maybe quirky and something that hasn’t been used already. For the less creative lot, finding a blog name that is relevant, cool, easy to remember and still available as a Domain on your favorite TLD could be a mind-boggling job. Nothing could be more disappointing than coming up with what you thought was an exceptional blog name, just to find out that a blogger somewhere in Anchorage has already claimed that name. To help with this head-cracking job, there are many blog name generating tools online, that not only suggest you names based on your inputs, but also show the domain’s availability on the internet. These can save you a lot of time that you can then devote to actually developing your blog. If you have a thing for wacky names, Wordoid is an excellent tool to search for blog names. It generates, or rather, invents words that sound like they might be a word in the selected language (or languages), but are really just an intelligent combination of syllables. Because these words are generated in accordance with the phonetic rules of the language, they are easy to remember and pronounce for readers in that language. The tool offers word generation in five languages – English, French, Spanish, Italian and German. Names generated are no more than 15 characters long, and the length and the blend of languages can be adjusted. You can also check the availability of the names in the .com and .net domains. A website that takes into account the keywords you need in your blog name, Panabee offers quite a range of creative names built by processing your input phrases, such as “Midwestern food” or “movie reviews” by reversing, appending, curtailing, rearranging the characters to give you a long list of names to choose from. In addition to that, Panabee also sweeps through Facebook and Twitter – two of the most widely used sites – as well as the across the internet and gives you an analysis of the usage of your chosen name and its variants. How cool is that? If you want a multilingual appeal to your blog name, the site also offers a translating feature which helps you look up similar phrases on Wikipedia. Once a domain name is picked, Panabee gives you the option to buy it with GoDaddy. A no-frills but extremely easy-to-use and intuitive tool, Nameboy gives name suggestions that incorporate primary and secondary keywords which you feed into the generator. Unlike a number of other tools, Nameboy allows hyphens in the names and also gives you the option of generating a blog name that rhymes. All the suggestions are presented in the form of a neat grid where the names are tabulated row-wise with the domain names (.com, .net, .org and so on) in the columns. The cells are color-coded to show availability of the names and you can select names of your choice and proceed to buy them right away. Nameboy also lets you manage multiple domain names from the same account that you created. You can also select names and place a hold on them for using them in the future. If you are particular enough about choosing a good blog name and are ready to spend some extra money in the process, go for Pickydomains. This website basically relies on a wide network of bloggers who work on creating the perfect blog name for you, based on your inputs on the content, the target demographic, objectives, types of names preferred and so on. You receive a list of customized blog names, which you are free to pick from. However, you need to pay a sum of $50 if you pick one of these recommended blog names. The amount is shared equally by the website and the creator of the blog name. 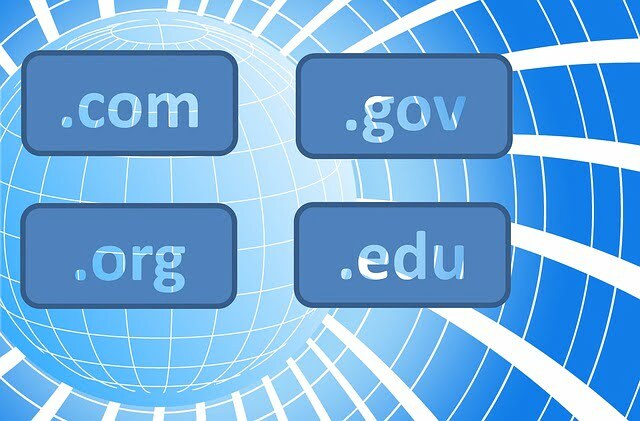 Pickydomains calls itself the first “risk-free” domain naming service because you have a network of experienced netizens working to create a unique name for your blog. You can use their expertise and pay only if you like (and therefore buy) one of those, making the fee a worthy investment. One of the most versatile naming tools available online, DomainHole not only suggests you new, unique blog names, but also gives you access to expired domain names which you can buy for yourself. The “Name Spinner” option on this website allows you to play around with keywords that you want in your blog name to generate an extensive list of both available and unavailable blog names. This is accompanied with the option to buy an available blog name immediately on one of the many domain registrar services like GoDaddy, Dotster, NameCheap and Name.com. The site, through its various features, offers you the flexibility to either generate blog names with relevant keywords woven in, or come up with innovative and catchy names that can also give you an advantage over rival blogs in terms of reader recall. Lean Domain Search is arguably the most popular tool for generating blog names. Easy to use and navigate through, Lean Domain Search offers a simple interface where you get a list of both available and registered names for the keywords you enter. Upon selecting an available name, you can also check its availability on Twitter in the form of a handle – a feature that you can use to your advantage if you plan to promote your blog or brand over social media as well. The site also allows you to then proceed to register this name with any of its partner registrars. Choosing a unique blog name is essential for building a distinct brand and enhancing your virtual presence through SEO (search engine optimization). You could either rack your brains to come up with one, or let one of these many smartly designed tools ease the task for you. The post 6 Blog Name Generators to Make Your Blog Stand Out appeared first on CleverLeverage.com.